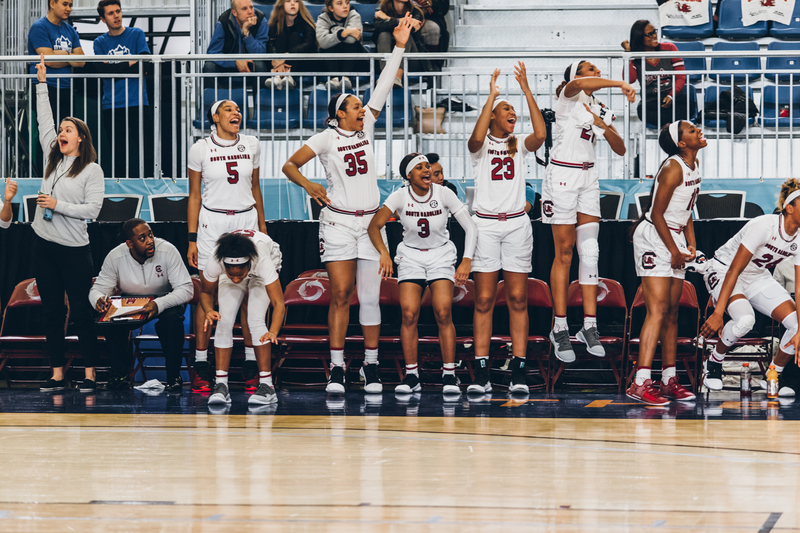 Big production from coach Staley’s supporting cast of South Carolina as they outscored ETSU 59 to 55. 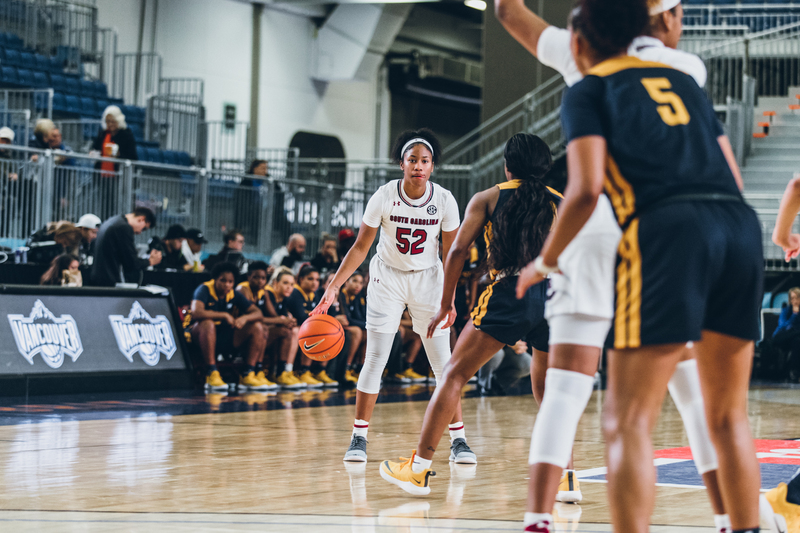 The lady Gamecock’s looked sharp and at ease from the tip, shooting a remarkable 100 percent from field and 3 point line midway through the 1st quarter. South Carolina had five players nearly in double figures to ETSU only having two players on the board. By the time Elysa Wesolek sank a three just before the half the score was 55-29. It was a total team effort with scoring, all but one player scored for the Gamecocks to close the half. 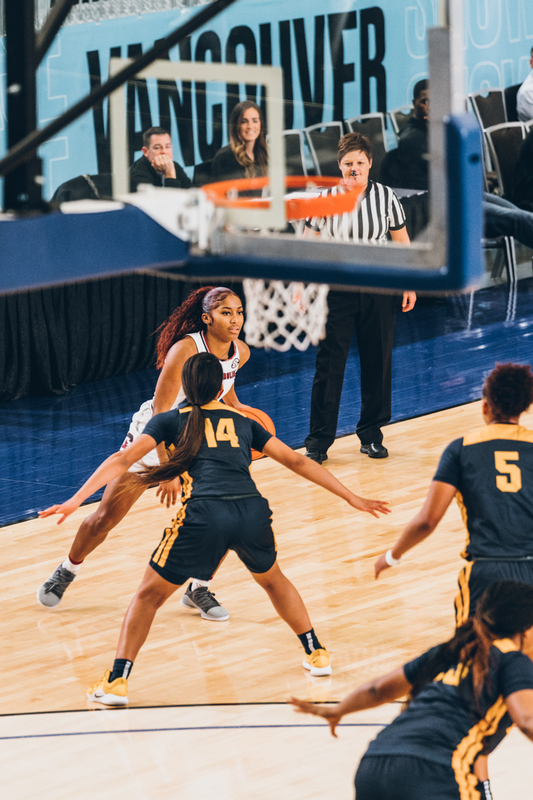 Guards, Tyasha Harris and Doniyah Cliney led the way in scoring Cliney 13 and Harris with 14 but it was the bench that showed up, almost outscoring ETSU 38 to Closing the third 80 to 43 for coach Staley.